Soon, we will be able to construct an entire high rise building … with a printer. 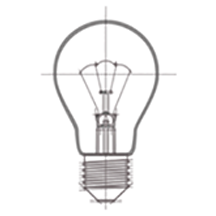 Those of us who have worked in the construction industry for years have used printers to produce project plans, contracts, proposals and other important documents that are critical to the construction management process. But who would have thought that we would someday be using printers to actually construct the buildings themselves! This might sound like science fiction or fantasy but it’s becoming a reality with the use of 3D Printing technology, a state-of-the-art innovation that could completely transform the building construction industry as we know it and redefine the way we think about design, manufacturing and construction. 3D Printing is the process of making three dimensional, solid objects by bridging the gap between the digital and physical world. Simply put, 3D Printers translate virtual models and designs into very thin, “printed” layers of plastic or metal that measure just a few microns thick, or as thin as a piece of copy paper. The printer prints these thin layers of material on top of each other, creating an entire object from the bottom up. 3D Printing is a lean and sustainable way of manufacturing because it creates a new object by adding only what is needed based on the specs of the virtual model. This is unlike other forms of manufacturing where excess material is carved, cut or melted away from the desired object which leaves behind unused or wasted material. Today, construction teams can design buildings using virtual modeling technology and then use 3D Printing to create laser-accurate building components of any shape and size with pinpoint accuracy so they can be prefabricated offsite and more easily assembled on a project site for a faster, more cost-effective construction process. At Suffolk Construction, teams are not yet constructing entire buildings using 3D Printers, but they are experimenting with other important uses for this futuristic technology. 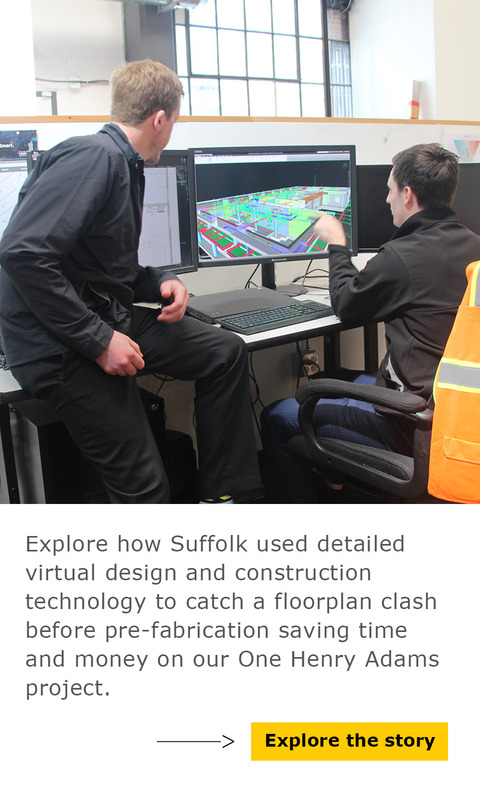 “It’s still not feasible or cost effective to print a 20-story building, but there are still many other ways to leverage 3D Printer technology,” said Nick Nigro, Manager of Virtual Design and Construction (VDC) at Suffolk Construction. “Having said that, I do believe we’re just scratching the surface with this technology. Once we are able to lower the barriers to entry, like printing speed, cost and the strength of printable materials, there’s no telling what we’ll be able to accomplish, and automate, with 3D Printers,” said Nigro. But printing entire buildings isn’t that farfetched after all. In fact, construction innovators in China and Finland are now experimenting with using large-scale 3D Printers to print entire buildings out of recycled parts and materials. And what about those of us who do not work in the R&D-driven construction, manufacturing or medical fields? Forbes estimates that by the year 2020, 3D Printing will be a $5 billion industry that could have an enormous impact on the masses, allowing any one of us to purchase an inexpensive 3D Printer so we can print any object imaginable, and then have it in our hands within a matter of hours! This is fascinating stuff, especially for those of us who have been constructing buildings the “conventional way” for decades. But the truth is that we’re only seeing the tip of the iceberg. We’d like to know how you think 3D Printing will affect the future of the construction industry or any industry, please comment below! In the title, define the word “soon.” :). Great article, amazing technology! Another mind blowing concept is the idea of 3D printing laboratories on other planets before the astronauts get there to occupy them. Who will be the first company to sign that GMP?